Safe and Sound, We do it from the Ground. GutterPRO clear gutters in Leicestershire. Enter your postcode into the form or call us on 07792 272 589 or 0116 412 0197 and we’ll book you in. 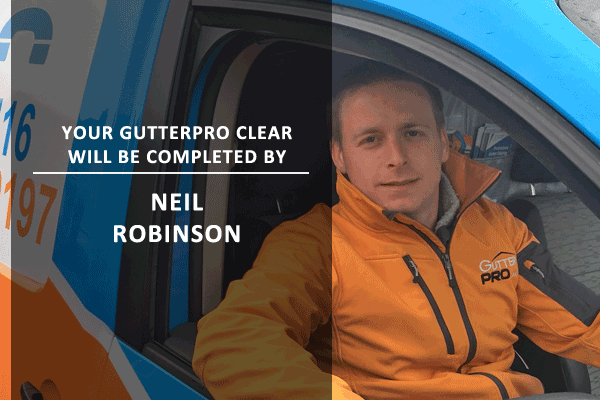 You’ll get a text reminder that we’re coming to clear your gutters, and when we are on our way, you’ll get a link to track us as we drive to your home. When we arrive, we’ll introduce ourselves and carry out a safety survey and a camera survey to get the ‘before’ pictures. David or Neil will complete the clear, and then do a final survey to get the ‘after’ pictures. At the end of the job, you’ll see exactly what we taken from your gutters, and how clear they are. Not in this list? One of my colleagues may be able to help. Call head office on 0116 412 0197 for more information.